« Remote Telnet useful tips! PuTTY doesn’t need any introduction as its one of the widely used for remote console utility. PuTTY is an SSH and telnet client. In day to day operational activities we do telnet or SSH to our Cisco routers or Switches, at times we need to backup a running or startup config or a Cisco router or a switch or even some times we need to capture the terminal session logs for technical information etc. This is can be easily done by using the PuTTY client. I will show you how to capture a text using PuTTY client. 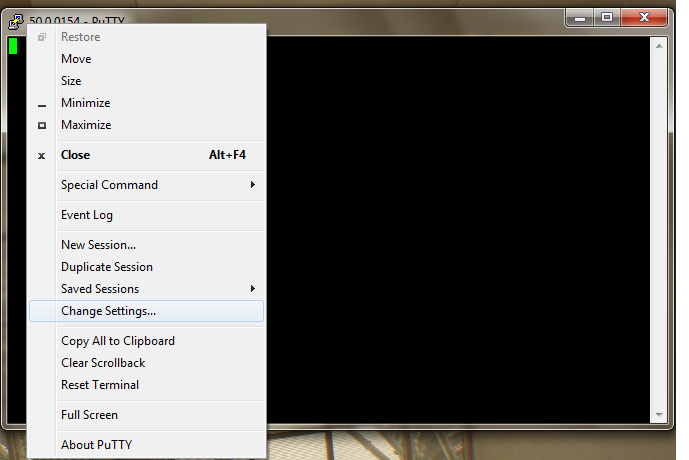 Step 2: Click logging under the icon Session. 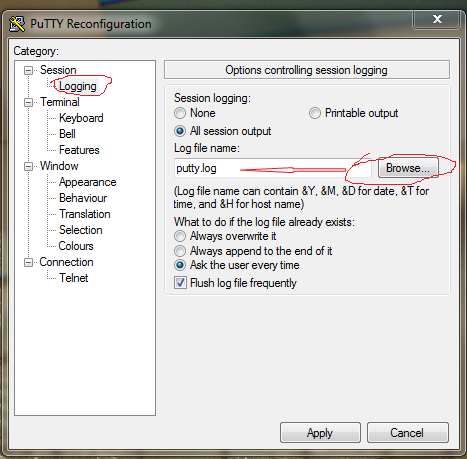 Step 3: Then select “All Session Output”. Step 4: Select the location using the browse button and enter the desired file name and click apply. These steps will create the log file in the specified location and it will log everything you did in that particular telnet or SSH session. Hi John Did you try in Juniper routers if so please share the experience. Thanks for the info! 4 years later, and it hasn't changed. works only when screen writes automatically something like loading . But print is not readable when we tpype something there.